The Czech Republic lies at the heart of Central Europe. 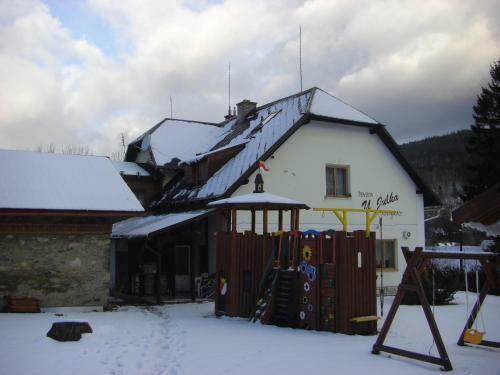 It is situated between the rugged Sudetes Mountains and the wooded hills of the Bohemian Forest. The fertile northwest is crossed by the great Elbe and the Vltava rivers. Here, and in the south central regions there are many farms and thriving industrial centers. The Czech Republic includes most of former Czechoslovakia’s important industrial areas. Its factories produce steel, machinery, paper, glass, and ceramics. Beer is a major product. Over two-thirds of its people live in towns or cities, and many are employed in the industries. Discover and explore these top ten not to be missed places when in the Czech Republic. The Charles Bridge is one of the landmarks of Prague. It connects the Lesser Town with the Old Town, a pedestrian bridge. Other road users have no chance here, because whether in winter or summer there is always a lot going on. You can hear many different languages, but hardly Czech - most passers-by are tourists. Built in the fourteenth century until the seventeenth century it was the only bridge that crosses the Vltava River. It has 30 statues of saints that dominate the sides of the bridge and some of them were replaced by replicas to prevent degradation. In fine weather it is really pleasant to walk around and to listen to the street musicians that you can find in every corner. You can also enjoy the portrait painting sessions of other artists who spend their day here. Prague is a beautiful city and this bridge is the proof. To fully appreciate it, you have to go the morning before 9 am (after 9 am the flow of tourists and merchants settled on the sides makes it almost impossible to walk and visit). The view of the castle is beautiful. It also has access to the Tower Bridge, built in the XIV century in Gothic style and was part of the fortifications of the city. Be careful that you do not get run over by cars or trams. The panorama of the bridge can be best viewed from the shore (Kampa). A tour of the Prague Castle is not to be missed on a visit to Prague. It is a fantastic cathedral, solemn and cute especially the "Golden Lane" with the legends that accompany it. There are large rooms that are really beautiful and fascinating, especially to those who love medieval history from 1300 to 1600 and the Bohemian tradition. It is worth paying for the license photo because you can enjoy these finds that are beautiful to see with its great value and historical symbolism. 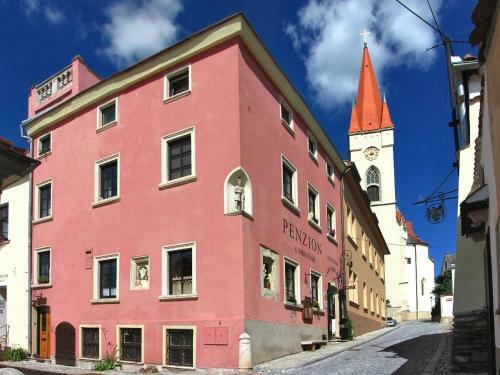 For students of history, they will admire the window of the famous Defenestration of Prague, which was the beginning of the 30 years of war between Catholics and Protestants as well as an event that marked the birth of the modern state. The castle now holds the seat of the Czech president, but can still be visited for the most part. This imposing monument is an interesting stylistic composition due to influences of different eras. The Prague Castle is situated on a hill. By taking the tram, it can save you up for a walk uphill or up the stairs and the ride is very picturesque. Take the tram line 22 (from Národní or the subway station named Malostranska). From below it is truly impressive. It holds a huge complex of buildings and various parks. Everything is very clean and well maintained. The long walks with sunset are highly recommended. Many complexes are accessible with available guided tours. It is one of the first places to be visited in Prague and absolutely not to be missed. The Old Town Square is the most distinctive landmark of the capital city. It is a suggestive site at night for romantic walks when it is semi-deserted. To get there you start from the Republic Square (Namesti Republiky Metro and tram station), the tram goes under the Powder Tower and through the Zeltnergasse (Celetna). At the end of Zeltnergasse you come then to the mostly flooded by tourists central market square of the Old Town of Prague. On all sides there is something to see, such as the Old Town Hall with the Astronomical Clock in front of which reside hundreds of tourists before every full hour, and then view the not even one minute continuous spectacle of the clock on the hour - the passing of the Apostles. But the Tyn Church, St. Nicholas Church, the Jan Hus Monument and the other adjacent houses and Höfer (including Palais Kinsky, Ungelt) are well worth seeing. Tourists can climb to the town hall tower from where they can have a magnificent view over the old town. The entrance fee of the current 100 kroner is worthwhile in any case. You can also get acquainted with the nearby attractions like the Neustadt or to Wenceslas Square or Charles Street to Charles Bridge, Lesser Town and the Castle District that are all located at the other end of the Prague Castle. The Astronomical Clock, built in 1490, is certainly next to the Prague Castle and the Charles Bridge as the major highlights in the Golden City. The Old Town Hall tour is complete with medieval costumed tour guides that can speak fluent, English, German and Italian languages. Particularly interesting was the tour of the cellars of the town hall tour where you could stay and admire how Prague looked in the Middle Ages. Explore old streets, houses, and even a prison, that are really interesting. In the town hall itself you can view the interior of the astronomical clock and the old council chambers. Every hour you can see the astronomical clock experience a little drama. Every hour, 12 apostles make the procession where you can also observe the skeleton striking the bell and pulling the rope to the top of the parade. At each fixed time, a lot of people wait outside the church to see the characters coming out of the small windows. Hundreds of tourists gather on the left side of the hall and staring transfixed waiting for the clock. It is nice to look at and is interesting that people clap and cheer at the end - probably for the reason that they have again checked off a landmark. Advice, do not drink on the terraces around because the price is very expensive. Guests must arrive a quarter of an hour earlier there to capture and view all the animated features of the clock. The St. Vitus Cathedral is located within the Prague Castle complex. It is a masterpiece of Gothic architecture that is characterized by many different chapels that are rich in works of art. The church has beautiful stained glass with colorful mosaics (Created by Alfons Mucha). This is the church whose spire can be seen from almost all over the city. This imposing church is the largest and significant religious structure throughout the Czech Republic. To visit this monument you must make the ticket to make the tour of the castle and a visit to the tomb of St. John of Nepomuk. The cathedral is located in the complex of the castle and was built over several centuries, so much so that it was not completed until the beginning of the last century. It opens at noon, but it makes sense to wait a while 'because it disposes of the line that forms before opening. If the tower is open and accessible, climb to the top. Your efforts will be rewarded with a stunning view of the city. The district of Lesser Quarter is located in the castle on the left side coming from the Charles Bridge. It is mostly a residential area but very pretty and full of beautiful buildings and old churches where you can walk in peace and solitude. The somber atmosphere in this sort of steep antechamber to the great castle also highlights the houses of ordinary people mixed up in luxury residences. Prague has two hearts, on both banks of the Vltava separated from the Charles Bridge, but if you mean the monuments Stare Mesto, Mala Strana is the life. The neighborhood of Lesser Town in Prague is in contrast to the Old Town district. It is far away from the tourist hustle and it is relaxing to take lovely walks there. Below the Prague Castle, you can have a deeper appreciation of the city that it is worth to consider in more detail some of the sights. It holds many embassies, including the German Embassy which is housed in historic buildings and eloquent palaces. You can walk along the banks of the Vltava River and see the entire district on the other side of the attraction. It has great restaurants, shops and a good public transport. Almost at the exit of the visit to the Castle you will find the delightful Lobkowicz Palace with its exhibition of paintings, musical instruments and original scores of Mozart and Beethoven. Accompanied by an audio guide that is included in the tour price, it is very clear and detailed and you become aware of a part of the history of the country. The collection of works spread over two floors, the first rooms feature a series of portraits including those of the Lobkowicz family of course. The main works are marked by numbers on a red dot, so, if you have limited time, you can directly enter these numbers in your audio guide. Do not miss the Spanish portrait of the Infanta Margarita Teresa by Diego Velasquez, Hygieia and the Sacred Serpent by Peter Paul Rubens, The Hay Harvest by Peter Breughel the Elder and two views of London by Antonio Canaletto. Check out the original manuscripts of Mozart and Beethoven to see their handwriting, notes, and memos. It is something intense almost like touching a legend. This alone is worth the entrance. Other rooms cannot be visited because unfortunately it is used for private concerts and events. Reservations are required on the web site of the Tugendhat Villa if you plan to include it on your tour itinerary. Without a reservation, you can only see the villa from the outside and for those who did not understand anything will continue to not understand its purpose and existence. The visit to this villa is recommended for people interested in the history of architecture and design. It is one of the most beautiful examples of modern architecture, the so-called "functionalism" of the last century. The construction of the villa was commissioned by Mr. and Mrs. Tugendhat, the wealthy industrialists in the textile industry in Brno to German architect Ludwig Mies van der Rohe. He was a genius and this is one of his most successful works. The climb takes about half an hour on this highest place in Karlovy Vary. Of course, the gear train can be used. But through the forest, it is naturally beautiful. On top there is a kiosk with barbecue sausage and a large beer garden. The climb or cable ride on the tower is free. Going through the mountain of Geyser Park in Carlsbad will bring you to the Diana Lookout Tower. The view from the upper platform is chic and tourists all over the world can understand the circuit park map because it is inscribed in different languages. The imperial forest, terrain orientation, cool view of the city and the countryside contribute to a good mood and a little to the side there is a funicular station for easy descent from the tower. It is a stunning city with a magnificent medieval architecture. Cesky Krumlov is like a fairy tale city with nice landscape and postcard like sceneries. There are many small houses, narrow streets, and paved paths. The Winding River and the historic castle make a lasting impression. The city has many cool little shops with handcrafted souvenirs. All the buildings are old and it's like a return to the Middle Ages. Central Square, Cesky Krumlov Castle, bridges, islands, all the narrow streets – can be visited in around 4 hours. Certainly, the Cesky Krumlov charms at first glance because the city is laced with romance and mysticism.